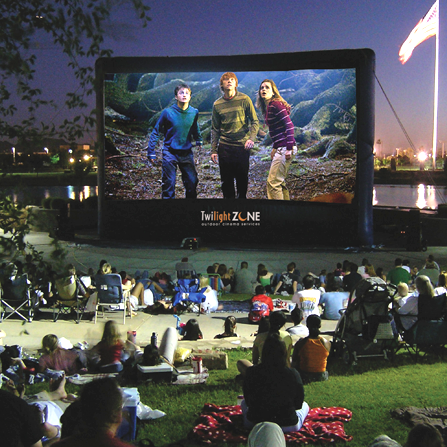 If you’re looking to kick up your normal movie night, an inflatable screen is a great way to do it! We can fit whatever size your audience may be and can even add in the popcorn if you need! If you want to do an old school drive in, we are able to coordinate FM Transmition in some areas!